I don’t mean to start the week off on a “down” note, but an unexpected event happened over the weekend that triggered the idea behind this brief post. As I left my apartment Saturday morning for the short walk to the gym, I called my parents to say hello. My mom then broke the sad news that a very dear family friend in Florida had lost her battle to cancer. 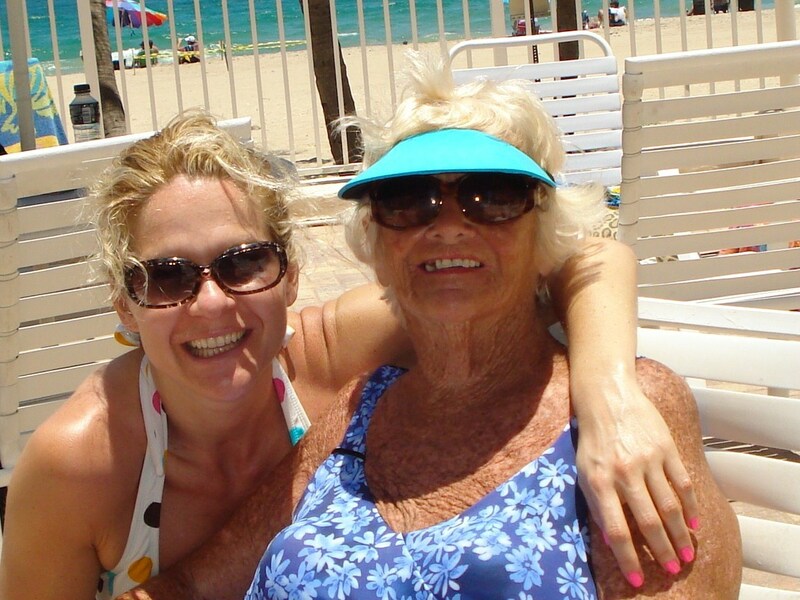 Her name was Anne, and she was like a surrogate grandmother to me during all my years traveling to Florida. She was a fun, feisty Irish gal who always had a sparkle in her eye and a fun story to share. While I was relieved to know she was finally at peace and reunited with her husband Bill, I was also sad and found myself reduced to tears in the street. (Luckily in New York City, no one finds this odd.) I composed myself, said a prayer and continued on to the gym. I then unleashed my sorrow in an intense cardio workout that lasted just shy of 60 minutes. I realize not everyone is going to run to the gym after receiving sad news to jump on an elliptical machine or start circuit training. Each of us must deal with grief in our own way. This experience, however, reminded me how exercise has helped me through some of life’s not-so-great moments and given me the strength to face the reality of those moments with a bit more clarity and energy. Whether I was dealing with the loss of a loved one, an illness in my family, the demise of a relationship or trouble at work, even something as simple as a good, long walk managed to help clear my mind and unburden my heart just the slightest bit. No doubt life will throw challenges our way that make it difficult to have fun, be fit and feel fabulous. When that happens, sometimes having a good cry or breaking a major sweat can help you get back on the path to the place you really want to be. Posted on August 22, 2011, in Fitness, Health and tagged Exercise, Grieving, Laura DeAngelis, Personal Fitness. Bookmark the permalink. 6 Comments. Laura, I totally agree with this. After my gram passed I went for a very long bike ride and I still remember every second of it, and how it helped clear my mind and bring peace. Thanks for taking the time to write, Gillian. I’m sure your grandmother was with you for every second of that bike ride. Sorry for your loss. Also, look at how many people turn their grief into a legacy by raising money for great causes connected to the person they lost. Race for the Cure and Team in Training are great examples of that. Sometimes in situations where we feel helpless it is a positive outlet we can put our energy into. Hello Rachel. Thank you for your kind words, and you make such an excellent point. Turning tragic situations into something positive is something we can all strive for. Hi Amy, Thank you for your kind note. Glad to hear I’m not the only one who gets grumpy when I can’t find the time to work out! I am sorry to hear about your aunt and will keep her in my prayers.